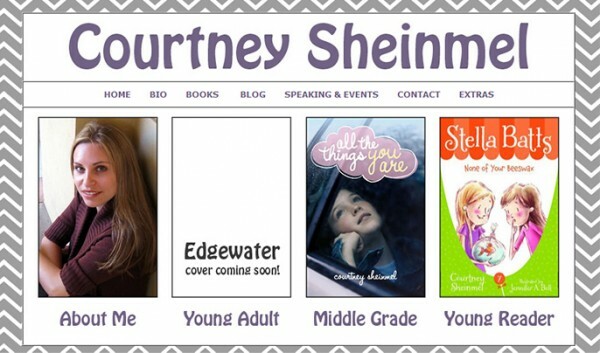 I'm super happy to reveal the new look of Courtney Sheinmel's website! Courtney is the author of My So-Called Family, Positively, Sincerely, All the Things You Are, and the Stella Batts series. Courtney's forthcoming young adult novel Edgewater, called a "YA Grey Gardens," will be available in 2015. I am looking forward to Edgewater, too!